Avoid future gutter replacement costs by investing in a reliable gutter system. Easy Fall Guttering provides solutions to all of your guttering woes. For more information about how our patented guttering system works, call us on 1800 897 444 and request a free quote today. All homeowners will need to replace their gutters over time, either through ordinary wear and tear or damage from debris buildup. 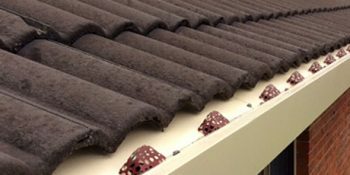 Especially if you don’t have the time to perform regular gutter maintenance, leaves, dirt and even small animals can get caught inside and cause it to sag and overflow. A damaged gutter can affect the foundation of your home, weakening its structural integrity and damaging the walls and floors. To avoid this, you need to replace your gutter immediately. What are the things to consider when you need to replace your roof gutters? The first thing you need to consider is how much of your budget you can spend on a gutter replacement. Not all gutters are the same and their cost depends on the material they are made of as well as their features or add-ons. Decide if you are going to buy an inexpensive gutter or if you are willing to invest in a pricier one. Another important factor to consider is the size of your gutters. If you need to replace your gutter because it was damaged by heavy rainfall, you may not have the right size that corresponds to the amount of rainfall in your area. The size of your gutter should be based on the maximum amount of rainfall you expect instead of the average rainfall. Otherwise, water will overflow, damaging not only the gutter itself but your home as well. Aside from the gutter itself, you should also consider investing in gutter guards. Leaf guards protect your gutters from falling leaves, dirt and other debris that may clog your gutters. 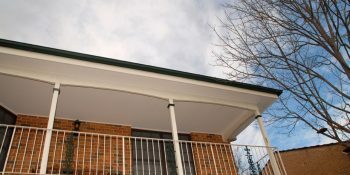 There are different types of gutters including gutter screens, gutter brush and gutter covers. Looking for a good gutter replacement? Invest in a guttering system with a reliable leaf guard. 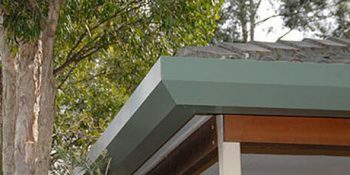 Our Guttering Sydney product has been developed to be low maintenance and equipped with an innovative Leaf & Ember that prevents leaves and debris from entering your gutters. Learn how our guttering system works by calling 1800 897 444 for more information.